Welcome to Bark Busters Home Dog Training Exeter, Devon. I'm Kevin McDonnell, your local behaviour expert. Dogs have always been a major part of my life. I believe that the unconditional love they give to their family makes them a unique species. A dog is always pleased to see you and demands nothing in return for this loyalty and dedication. Because of this, I feel that a dog is worthy of our best endeavours to ensure that training and communication is fair, clear and consistent to create a harmonious relationship. This is something that we humans sometimes struggle to achieve, and is often where things start to go wrong. This is therefore the basis of my training programme. 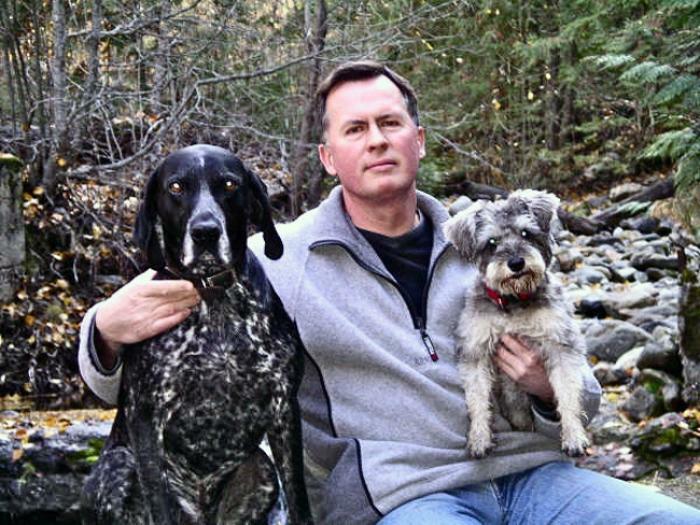 Prior to my life-changing decision to become a Bark Busters Trainer and Behaviour Therapist, I worked for over 25 years in a corporate environment. This period of corporate life taught me the importance of clear communication. We are always happier when we know what is expected of us, and our dogs are no different. During my 9 years as a trainer, first in Canada and then here in Exeter, Devon, I have experienced and demonstrated to 1,000's of dogs and their owners just how important this communication is! Dogs are animals who live in family groups. Whilst the make-up of family groups can differ greatly, what is important is a safe and calm environment where there is clear communication and leadership. This is what I will teach you in our one-to-one private lessons, delivered in your home. In no time at all, you will be communicating clearly in a way they understand, and by using this system of communication fairly and consistently, you will see many of the behaviour issues you have been struggling with, simply disappear. In addition, my support guarantee gives you peace of mind that I will be available with telephone support to help you for the lifetime of your dog! Whatever behaviour problems you're experiencing, I will tailor a programme to suit you and your lifestyle. Let me show you how to take control and have the happy, contented canine that is a pleasure to own. Do you want a great relationship with your best friend? I am a certified Bark Busters Master Behaviour Therapist and Trainer and have successfully trained 1,000's of dogs and their owners. I am a canine behaviour expert based in Devon, and help people with all problems and all breeds. I have extensive experience with serious behaviour issues such as people aggression, biting, dog aggression, hyperactivity, separation anxiety, obsessive behaviour, incessant barking as well as sibling rivalry, basic obedience, puppy education and much more. 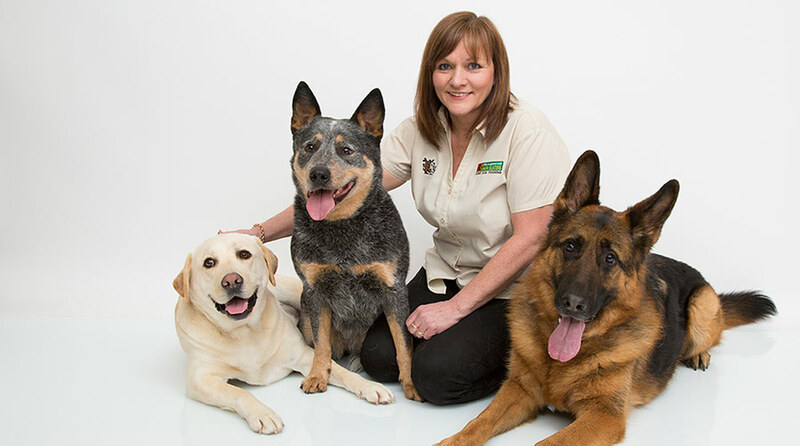 My reputation has been built on delivering incredible results and excellent customer service which, in turn, has generated numerous referrals from vets and other animal professionals. After your initial enquiry, I will contact you with a free, detailed phone consultation so that you can begin to understand why the behaviour is happening. I will also explain in detail how the everything works so you can decide if it is right for you and your best friend. The lesson takes place in and around your home and will last around 3-4 hours. It includes a detailed presentation on behaviour so that you can fully understand the "why" behind the behaviour. I will then tailor a personalised plan incorporating several exercises to enable you modify the behaviour. At the end of the lesson most owners see a dramatic change in behaviour. To enable you to make these changes permanent, you will be left with a written training plan based on what you have already learnt and practised, so you will already be familiar with the exercises. The exercises are very easy and not too time consuming. Most of the training you will undertake is based on how to communicate your instructions clearly and consistently, and encourages you to interact with your dog on a daily basis. The work I ask from you generally adds up to no more than 20 minutes per day…not too onerous an investment for your best friend! Amazing results in such a short time. Kevin was very professional and informative throughout the session. Would highly recommend.